If views are what you want and entertaining friends and family is what you enjoy, then this is the house for you. 6 Bedrooms and 8 bathrooms (2 are Â½ baths) with a circular driveway. All this with stunning westerly views of the Ramapo and Catskill mountains ranges as far as the eye can see from the house or from the huge multi-level decks with ever changing dramatic sunsets. On over 60 sub dividable acres of mature woods, magnificent rock outcroppings, cascading waterfalls, cool water summer swimming hole and river frontage on the Peters Kill Creek. Meticulously built in 1985 with updates done since 2008 as large gourmet kitchen, hardiboard siding, metal roof, insulation, a second floor master bedroom, additional bathroom, elaborate kids outdoor play area and much more. 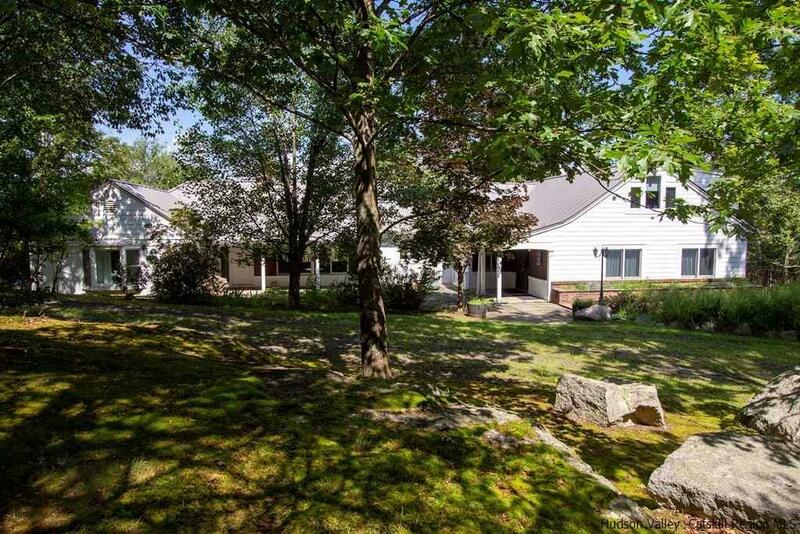 All this with an easy reach from Exits 18 & 19 off the NY Thruway, close to New Paltz and Kingston & within 35 minutes to Woodstock, Rhinebeck and more. 90 Minutes to the GW Bridge. 2 Dishwashers, 2 refrigerators, Built in double oven, backup generator, washing machine and dryer all included.